Diwali and Christmas is a time for celebration across the Country. New clothes, loads of sinful food, festivities, fire crackers and fun for most people. However, this can be a really harrowing time for those suffering from asthma or from mild respiratory disorders. This time of the year in India leads to a spike in respiratory problems due to a combination of factors. Some of these are changing weather patterns, increase in allergens, onset of colder climates, smog combined with air and noise pollution and unhealthy food. All of these can cause challenges to the hardiest of individuals. a) Changing weather patterns – The weather at this time is changing from October heat moving into winter. So it is neither hot nor cold. Changing temperatures trigger asthma due to non-uniformity of temperatures. Further, many individuals cannot tolerate cold climates. b) Lack of breeze and increase in allergens – During this season, there is a lack of breeze and air movement. So various allergy causing substances remain lower in the atmosphere, increasing chances of causing asthma, bronchitis, sinusitis and other respiratory disorders. c) Air pollution – Most of our cities and towns are heavily polluted. This pollution increases with smog which hangs low in the air. This is further compounded by smoke from fire crackers all around. Smoke from crackers, dhoops and agarbattis causes asthma. This smoke does not dissipate for a few weeks to even two to three months. d) Noise pollution – We may not be aware but high noise levels causes stress which can trigger asthma attacks. Loud firecrackers, screaming, shouting, honking and congestion in public places can be troublesome. e) Food – During Diwali, Christmas, New Year, we tend to eat lots of sweets, rich foods and fried foods. We also celebrate together as families and have family dinners, food parties and late dinners. We tend to over eat and have lots of heavy food. Asthma is triggered by indigestion, gas, excess sugar and rich foods. However, we need not despair. There are quite a few things we can do to ensure we have an asthma free winter. In fact, if we follow some of these tips, we can enjoy all the lovely food and family celebrations. Every morning, sip a glass of warm water on an empty stomach and then gargle your throat with warm water. Wait for half an hour before you eat anything. Through the day, eat all the goodies you want but have very small quantities. Example; have a small mithai or four to five pieces of nuts. If you want to have something fried, have very small portions. If you like to have paranthas and similar food, restrict quantities. Eat four to six times a day if you have to but eat very small portions. Avoid having heavy meals after 9 p.m. If you can, finish your dinner by 8 and then only have some fruits if you have to. Before going to bed, sip a glass (250 to 300 ml) of warm water. This will help clear digestion as well as pollutants from the respiratory system. Keep your feet, ears and head covered even while in the house. Wear socks at home. When going out, keep your head and ears covered. Make sure you do not sit below the fan after washing your hair or going in windy weather. Whenever you feel uneasy, take steam inhalation (without adding anything in the water). Once a day, keep a hot water bag on your chest, back and stomach if you feel you have irregular breathing. If you have a mild attack, you can have some black coffee or ginger tea or green tea. Try and sip a glass of fresh turmeric milk (haldi) with breakfast or anytime during the day. If you exercise or go for walks, make sure you do it after sunrise (after 7 a.m.) or in the late afternoons between 4.00 p.m and 7.00 p.m. Very early mornings and late evenings, smog descends lower in the atmosphere causing breathing difficulties. Avoid places where there is a lot of smoke. If you want to go out, then keep your face covered with a handkerchief. Totally avoid alcohol and smoking. These are bad for asthmatics anyway, but at this time, these are especially dangerous. Sit down quietly and take twenty to thirty deep and slow breaths. Do this thrice a day. However, do not do this if you have an asthma attack. Do not forget to have your medications as given by your doctor. In our excitement and enthusiasm we may forget this. Also keep your inhalers handy if you are traveling. However, the most important tip is to be very joyous and happy this festive and winter season. It has been found that if you do not think about asthma, you do not get an asthma attack, even if you are in heavy smog or pollution. This is precisely why it is called a psychosomatic disease. 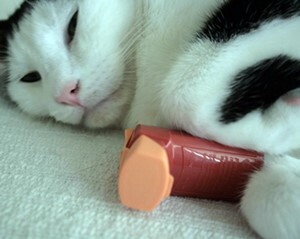 If the mind is happy and occupied, you will forget asthma. So have a great time this winter and enjoy lights, colors, food and festivities. Gaurang Chandarana is a Health & Wellness Expert and can be reached on gaurang@wellzee.com for queries and health tips.